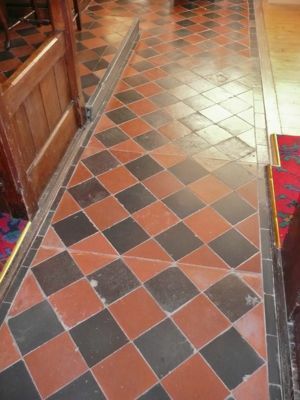 The C19 tiled aisles were lifted and relaid to discretely incorporate ramps for wheelchair users. 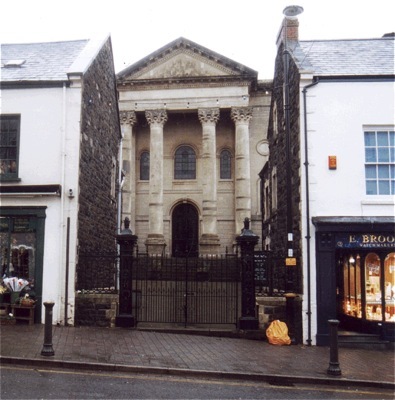 The English Baptist Church was designed in the early years of Queen Victoria’s reign by one of Wales’ most celebrated chapel architects, George Morgan, who contrived a dramatic siting on a narrow plot in the centre of Carmarthen. 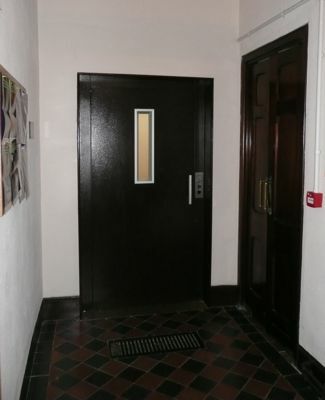 A seminal building in the development of Welsh chapel architecture, it is Listed Grade II*. Following the preparation of a detailed survey and access audit, Frans Nicholas Architects undertoook the design and co-ordination of a major scheme of repair, access and adaptation to the chapel in 2007-2010 which included removing an entire rear garden that had been built up with the earth excavated to form an undercroft beneath the chapel. 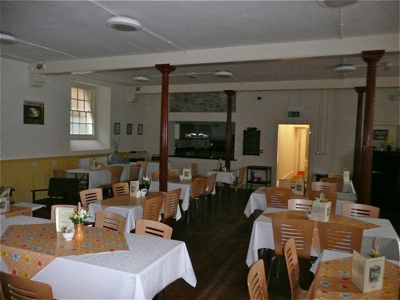 This bold intervention allowed the creation of a new lower level rear access from the centre of Carmarthen into the undercroft, which was already being used by the church as an urban ‘drop-in-centre’ providing meals and community space for a number of charitable and outreach activities. Hitherto, these could only be accessed via steep steps. 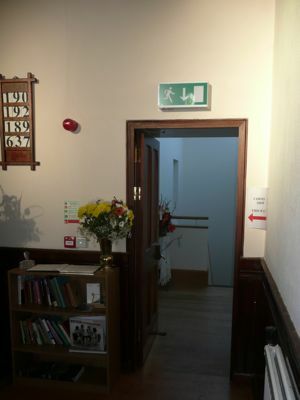 The insertion of a new internal staircase, and a lift, extended this new accessibility into the church above, which had also only been reached before via external steps. 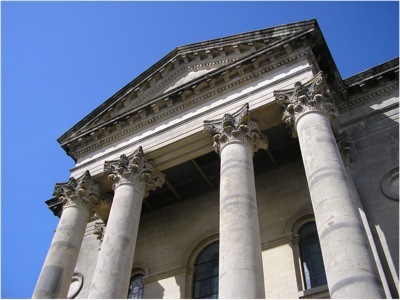 George Morgan’s classical facade and fine interior was left uncompromised by this work. 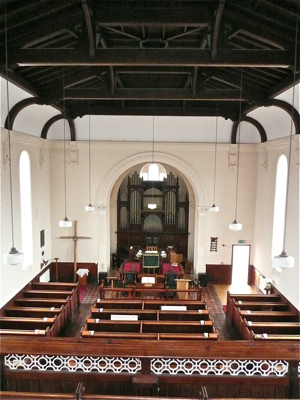 The contract cost of nearly £0.6m was funded by the church, the Heritage Lottery Fund, Cadw, the European Community’s ‘One Fund’, The Landfill Tax (Grantscape), CFAP, National Churches Trust, and a number of other national and local grantors. 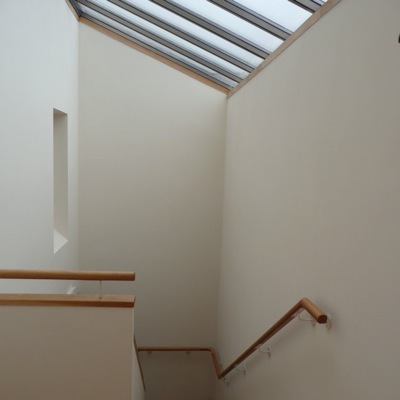 Architects and Conservation Architects – Frans Nicholas Architects Ltd.; Quantity Surveyors – Banks Wood (now T C Consult); Structural Engineers – Roger Casey Associates; Mechanical & Electrical Consultants – Webber Lenihan; Main Contractor – Welsh Heritage Construction Ltd.